To celebrate the Year of the Tiger, Chef Vanessa Yeung of Aphrodite Cooks held a Dim Sum cooking class at Nella Cucina featuring her Year of the Tiger dumplings. These cooking classes are tons of fun. 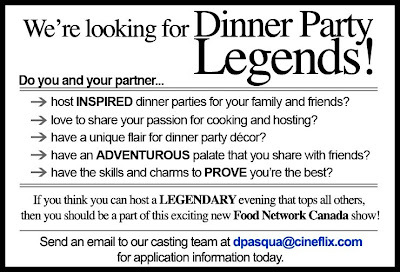 Not only do you get to socialize with other food lovers, you also learn new skills and recipes. Oh and did I forget to mention that you get to eat what everyone cooked! Chef Yeung and her mom Millie taught us all we had to know to make such yummy treats as bison potstickers, stuffed eggplant, vegetarian water dumplings and siu mai. I love siu mai! Though other kinds of dim sum may be more intricate and tasty, there's just something very comforting about steamed pork and shrimp. 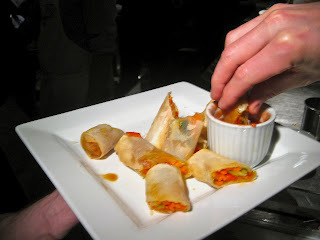 The sweet and savoury pork stuffed pastry was also deeeelish! The class was very informative. Dim sum turned out to be quite easy to make, with fresh, inexpensive ingredients. 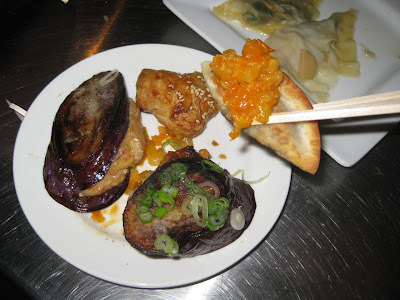 We were even talking among ourselves about how easy it would be to pull off making several kinds of dim sum with only slight variations of the same ingredients if you had to throw a dinner party in a pinch. Click here for more cooking class photos. 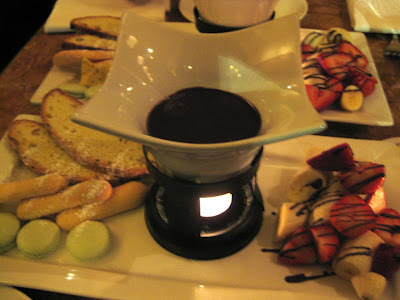 Here's a great date idea: "Me, Yu, Und Fondue" at the Bier Markt for their Fondue Feastivul. The Bier Markt has 2 restaurants, but I always find myself at the Esplanade location. It's in the funky yet peaceful St. Lawrence neighbourhood, and it represents my idea of Toronto's original gastropub. The Bier Markt, along with another favourite, Beer Bistro, have an astounding selection of brews from all over the world. They also have the high-calibre food to match. We started off with some Paulaner Dunkel, a smooth, malty Bavarian beer. It was dark, crisp, and fragrant, a great way to wake up the palate. 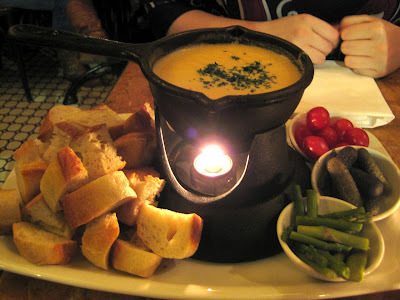 For apps we had the Cheese and Lager Fondue: appenzeller, emmental and raclette cheese, Stella Artois lager, asparagus, grape tomatoes, cornichons, and fresh baguette. That was a big appetizer. I'm glad we shared. Needless to say we mopped up all the cheese with the baguette. For our main, we shared the Surf and Turf: Atlantic lobster, AAA center cut striploin, asparagus, rosti potato, peppercorn demi-glace, with a Leffe Brune Ale broth. The lobster looked pre-cooked, and was a little tough. A side of salted, melted butter would also have been nice, but was sadly missing. The striploin on the other hand was amazing! It was so soft. We were also warned earlier by the couple sitting next to us who just had the same fondue that the green peppercorn sauce was to die for, and we should try not to fight over it. She was right. The sauce complemented the meat perfectly. For dessert, Stacey had the Caramel and Toffee Fondue: ladyfingers, French macaroons, biscotti, bananas, strawberries, and housemade marshmallows. I had the Belgian Chocolate Fondue: Valrhona dark Manjari chocolate, French macaroons, biscotti, ladyfingers, bananas, and strawberries. The housemade marshmallows were great with the caramel, and the French macaroons were heavenly with the chocolate. That's gotta be one of the best chocolate sauces I've ever had. Get thee to the Bier Markt. Click here for more mouthwatering pics. The Fondue Feastivul runs from Jan 13 - Feb 28, 2010.